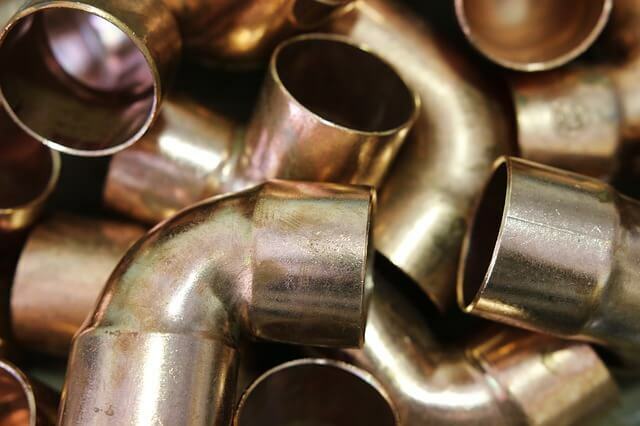 Brazing copper pipe has been, for many years, one of the most common methods of connecting copper tube and fitting. This method is especially useful when great joint strength is needed. Brazing, unlike its most common counterpart, soldering, is done with a very hot heat of about 1100 to 1500 degrees. Both oxygen and non-oxygen bearing copper can be brazed to produce a joint that’s strong enough. A slightly carburizing flame should be used as well. Filler metal may be inserted from outside after the joint has reached the required temperature. Mark the tube correctly to ensure accurate lengths. Cut the tube using a hacksaw or any other safe preferred method. Smoothen both ends of the cut tube to rid off any metal spurs. Reaming can be done using a reaming blade, a half round file or deburring tool. Prepare joints by cleaning, with either an abrasive pad or sand cloth the areas to be soldered. This is to remove any impurities such as oil or oxides. There should be an allowance of 0.004 inches between the fitting and tube. Install the tube in the fitting ensuring a secure fit, but enough space for the capillary action of the solder. This could be about 0.0004 inches. Turn if possible and firmly support the tube. Position and maintain the flame perpendicularly to the tube and preheat both the fitting cup and tube. Be sure not to overheat as this could burn the flux. Keep the flame in constant motion and avoid it lingering on any single area of the tube. An oxy-fuel torch with a neutral flame is preferred. When using a flux, use gloves, and avoid contact with mouth, eyes and cuts. Contact the filler metal to the melting joint and apply at the point where the tube enters the joint. Apply heat source to the base of the cup as soon as the filler metal melts. Keep flame away from filler metal, let the heat melt it. Do the same process for the vertical joints. It’s complete on sight of a full filament. Allow the joint to cool by itself then clean the flux with a damp heavy cloth. Then you’re done! Brazing copper pipe accomplished!